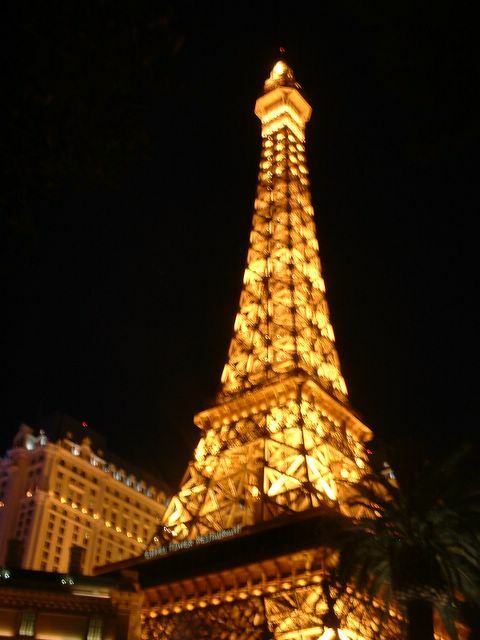 LasVegas2005plusafewHOME -- Las Vegas Eiffel Tower at night. Half the original, all the fun. (not really - the original is cooler).